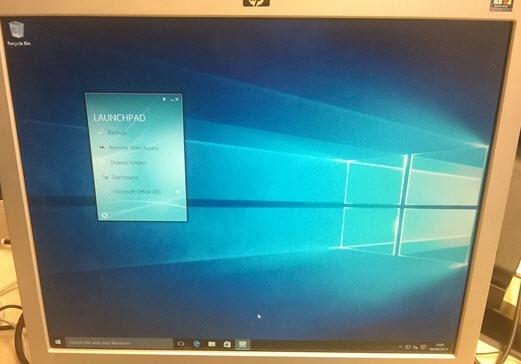 Trying to launch the Dashboard from the Windows 10 machine worked without any issue at all. 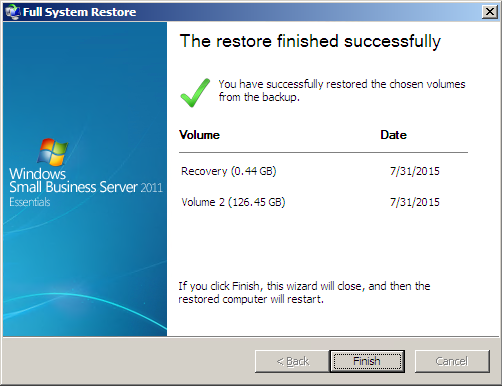 Switching our attention to the most important feature (imo) of Essentials, Client backups. Triggering a manual backup from the client failed. This was caused by the Windows Server Client Computer Backup Service being stopped on the Server. 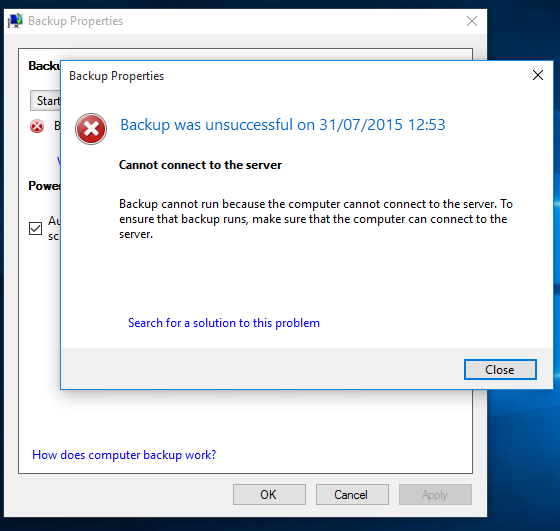 Manually starting that service updated the status of the clients in the Dashboard and correctly reported that Windows 10 Client PC Backup was ‘Set Up’ rather than unknown. I beleive i should have noticed that earlier on. In any case launching a backup from the Dashboard was a success! A short time late we see SUCCESS! Trying to do a restore, of course we need to sign into the Dashboard on the Windows 10 machine again. Switch to the Devices tab, right click the machine and hit Restore files or folders for the computer. A few seconds later and the wizard completed. We’ll take a look at the Bare Metal Restore a little later on. Next i want to look at Remote Web Access. 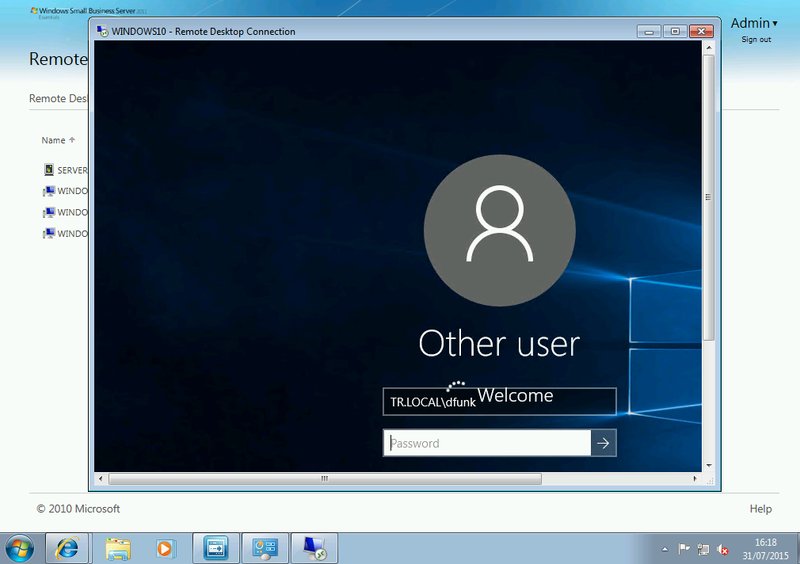 First, Remote Desktop into our Windows 10 machine. 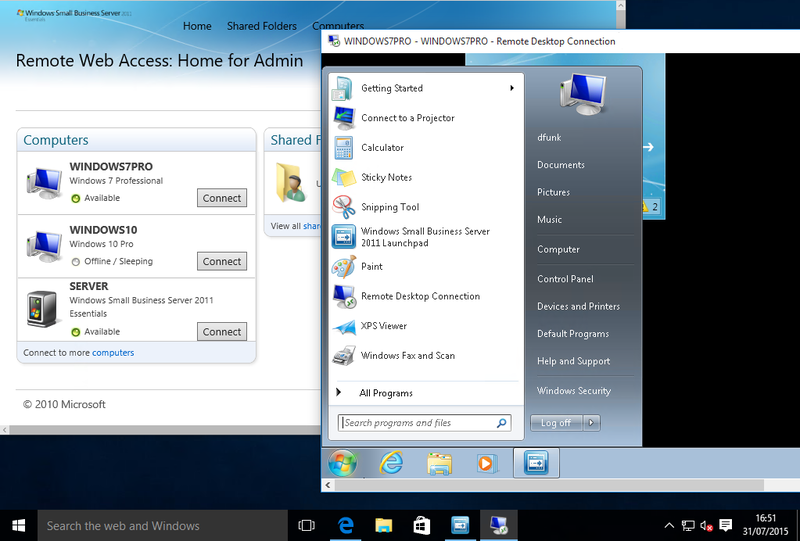 I am using a Windows 7 SP1 machine for this, connecting from an external network. 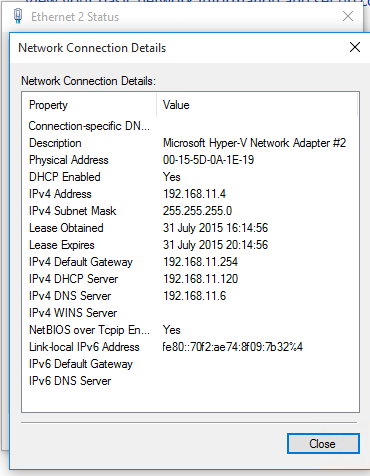 Logging into the RWA page and looking for my Windows 10 machine, i can see it lists its RDP connection as disabled. Switching to the Windows 10 machine, i can see RDP Connections are indeed disabled. 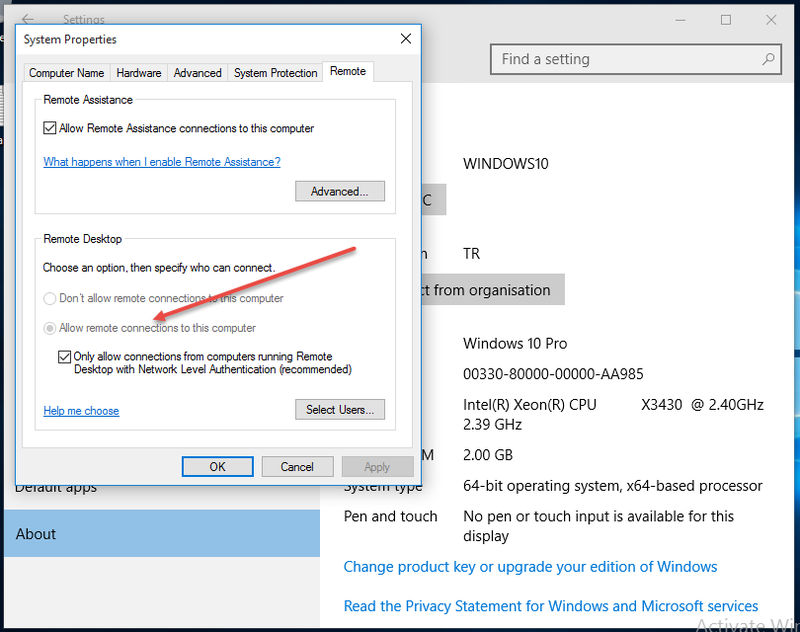 Of course i could tick that box and allow Remote Desktop to work, but i want to use a GPO so i don’t need to do this on every Windows 10 machine added to my network. Actually as i have only recently rebuilt my lab i am having to do this as i would otherwise already have had this policy in place. 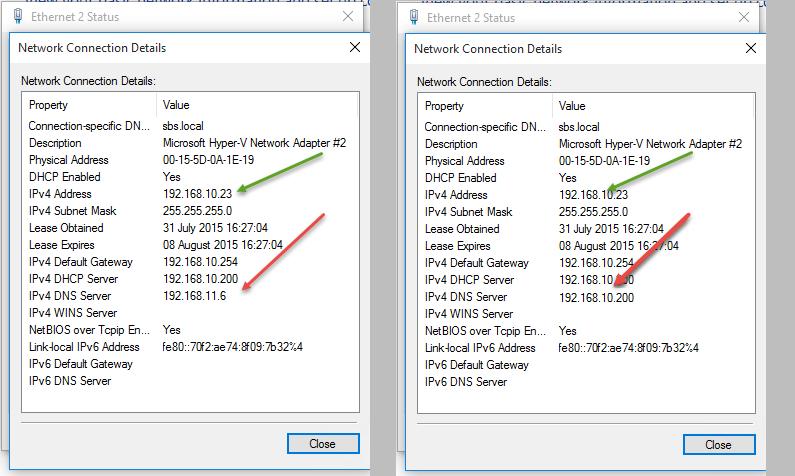 Running a GPUPDATE /Force on the Windows 10 machine switches RDP to enabled. Then back to our Windows 7 machine, sadly it was still showing as Connection disabled. I gave the Windows 10 a cursory reboot, but it still showed as Disabled, but i decided to try it anyway. Given that the RDP connected, i decided i might just be being impatient with the RWA page and decided to come back and check that later. Two more things i wanted to check, require me to move my Windows 10 machine from an internal network connection, to external. External to the server that is. Before i do that, ill just note that my DHCP server is NOT the essentials server. As you can see here the DNS is set to 192.168.11.6 which is the IP of the Essentials Server, which means the DREADED LAN CONFIGURATION SERVICE has been doing its dirty work. So i will move this PC out to a new network and see what happens. I was quite delighted to see that it changed successfully! With that non trivial matter out of the way, lets take Edge for a test drive on the RWA Site. When connecting to a remote PC the Edge browser appears to function in a similar way to Chrome or Firefox in that an RDP file is generated and downloaded, rather than using what is i presume a defunct ActiveX component. 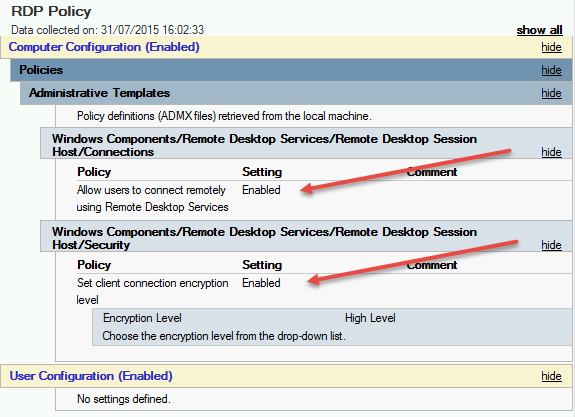 You will be prompted to login TWICE – that’s once for the RDP Gateway and once for the PC itself. Make sure you enter the domain name you are logging into! Shared folders i hear you ask? Opening files worked without any issue, as did uploading new files. I hit a problem with the BMR. My Server and Client PC are both Virtual. Which means booting from a USB recovery key is not easy (or seemingly possible). After several hours trying to get round that, i have given up for now. Whilst the backup was restorable in a GEN1 VM, i was not able to actually boot the disk after transferring it over to a GEN2 VM. This relates back to the EFI hotfix having an updated ISO – and something that will boot from an updated recovery key. I found myself a physical PC that supported EFI and can confirm a BMR Restore worked perfectly well. However, i noticed after the restore that the computer did not show as Online in the Dashboard. 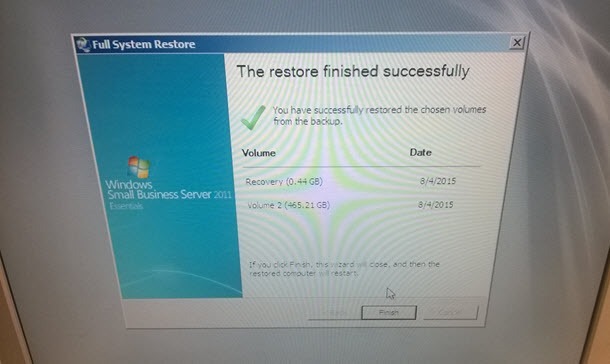 On close inspection of the restored client, all of the ‘Windows Server’ Client services were missing. I had a theory on why this was, and because i am just that dedicated, i rebuilt the pc and reinstalled the connector. Sure enough, after a rebuild the BMR worked as expected. On the initial machine i installed Windows, Installed the Connector and did a manual backup. No problem there. What i did not do though was reboot between installing the connector and doing the backup. You might think that is also ok – however what i have learned is that Essentials seems to backup CurrentControlSet1 inside the SYSTEM registry hive. 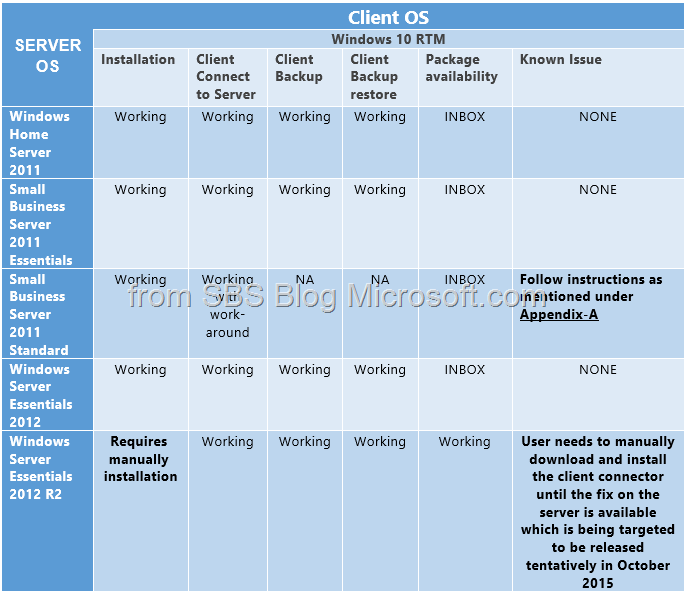 This had not been updated to reflect the new Essentials services that had been installed – because i had not rebooted. Ordinarily this would not be a problem because it is unlikely a brand new machine is going to require a BMR immediately after the Connector is installed, but before a reboot has been done. So, i shall chalk that up as my error. I would also remind you that this is just a theory, and whilst it fits, we can learn from Dr House that theories can kill patients just as often as they cure them. I think that about sums up Windows 10 and SBS 2011 Essentials. I cannot think of anything else you might need to know or be aware of… if there is something you think of, please let me know! I have bookmarked this post for when I replace my wife’s office PCs that run with SBS 2011 essentials. I will do a clean install of 64 bit Win 7 pro, and then upgrade to 10. 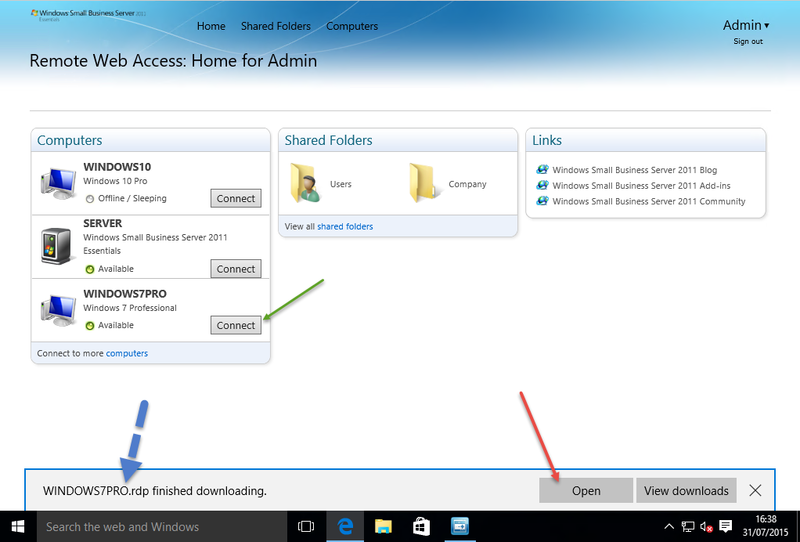 One thing you didn’t touch on was how Windows 10 uses existing local accounts and domain logins. Is there a best practice on first run to ensure the PC properly joins the domain? It seems Microsoft is a little too insistent on using the Microsoft account. You can still use a local account with Windows 10, is there something specific on the post you think I need to add in that respect? Thanks for the followup (and a very useful post). I have not attempted to add a Windows 10 PC to a domain yet. Are there any gotchas that those of us who only have experience on non-domain home LAN scenarios should know, or is it obvious? Thanks. Great information as always Robert. I have been waiting before updating a Windows 8 laptop and Surface Pro 3 to Windows 10. I need to get my boss’s new computer registered in the Remote Desktop Gateway. 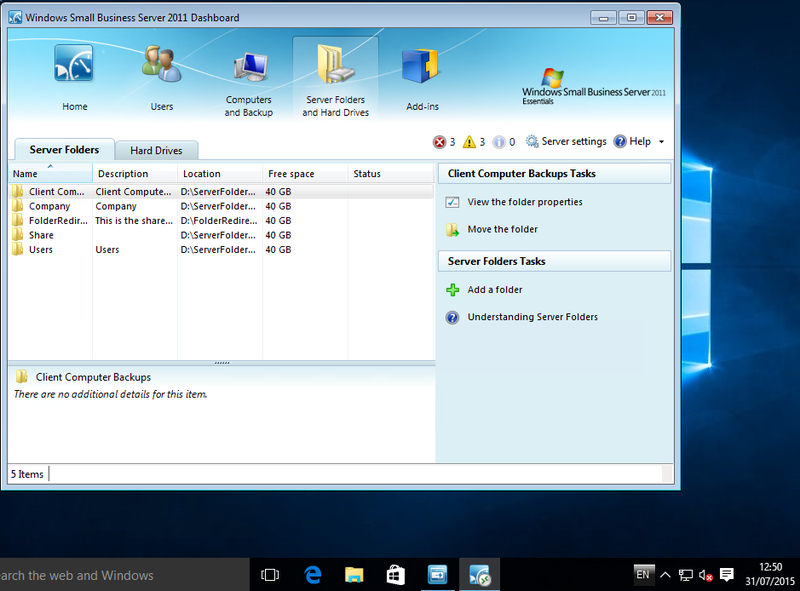 Do you know any way to add a domain joined client to an SBS 2011 Essentials server without the connector? Ok – I think I have it figured – client can be reached through gateway as is domain joined – just doesn’t show up in any of the SBS tools like the dashboard and the web site. Time to talk to the boss and discuss moving up in the world. I am so excited to get this to work (when i do get it working :) ). Thanks for the info. -this was hard for me to find…. the image actually shows a more accurate path. 2. When I open my Group Policy Management, I’m not sure which GPO you actually modified. Default Domain? It can be any GPO that applies to the computer, however if I’m doubt create and link a new one to edit.